13 Pound Electric Breaker / Demolition Hammer Rental – Bosch 11321EVS , is available for rent in Rochester NY, Ithaca NY and the entire Western New York region from the Duke Company. 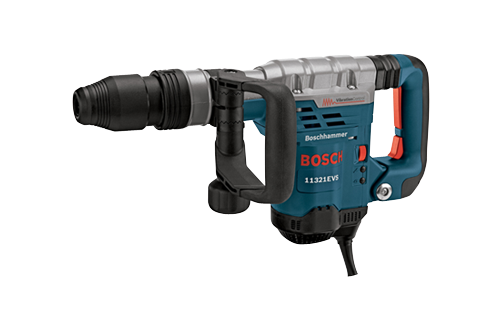 The Bosch 11321EVS 11317EVS 3/4″ Hex Demolition Hammer is featured by its power to weigh ratio of 13 Amps, 9.6 feet / pounds impact energy and its weight of 12.8 pounds. It has active vibration control and constant response circuitry.